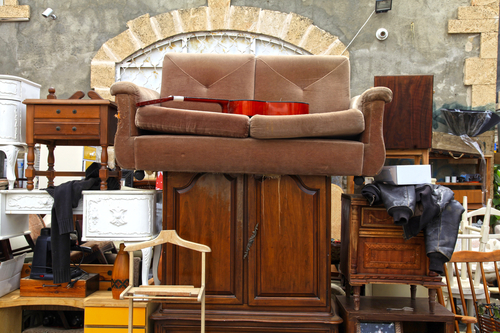 House clearance can be difficult, demanding, and an emotionally draining undertaking, but it doesn’t have to be. If you do a proper house clearance preparation and hire the right house clearance company, things can be much easier for you. So, here are some valuable tips on how to prepare for a house clearance to ensure you have a stress-free clearance experience. There could be stuff in the house that you want to be cleared that are still useful. These may include valuable pieces of art and vital documents. Consider keeping the items aside and label them appropriately, so that the house clearance company doesn’t collect them together with the unwanted items. Electronics and electrical items should be disposed of according to Waste Electronic and Electrical (WEEE) regulations. These items may include computer components, household appliances, medical equipment, telecommunication devices, and electrical tools. They need to be disposed of in an environmentally manner to ensure any chemicals they may contain to hurt the environment or animal life. A house clearance cannot be complete without getting rid of fixed décor features like curtains and carpets. Therefore, remove these items and put them together. To give the clearance company an easier time carrying these items, it is important to place them in secure piles. Sharp and potentially hazardous items such as knives and glasses that are prone to breakage should be wrapped to ensure that the pointed or sharp parts are covered. You can then tie all the items together. Remember to keep glass items where they can be easily seen to minimise the risk of injuries should they break. During house clearance, there could be disruptions, noise, dust, and other inconveniencing situations that may affect those living near the property you are clearing. It is prudent to inform them beforehand, so they can take any necessary measures to minimise the inconveniences, such as staying away during the clearance. You don’t want anyone to have a nasty experience as a result of your house cleaning. House clearance companies usually carry everything that they’ve cleared away and dispose of it in a way they deem appropriate. Sometimes, you may want some stuff to be sent to a place of your choice. In that case, you should inform the clearance company beforehand. Consider making a list of these special items, so the clearance company can have an easier time separating them from other stuff. Otherwise, they may end up confused, or some items may get lost. With these house clearance preparation tips, you can rest assured that you will have a smooth and stress-free clearance job. To make things even easier, you should hire a reputable house clearance company such as Removal For You. To find more information about Removals For You’s house clearance services, please visit this site. Read next article: What is Compulsive Hoarding?